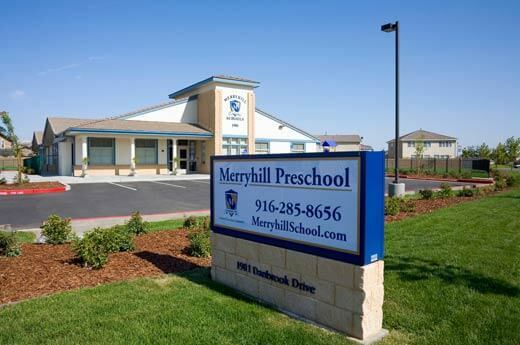 Merryhill is a preschool that accommodates 190 children with ages ranging from infants to five years of age. 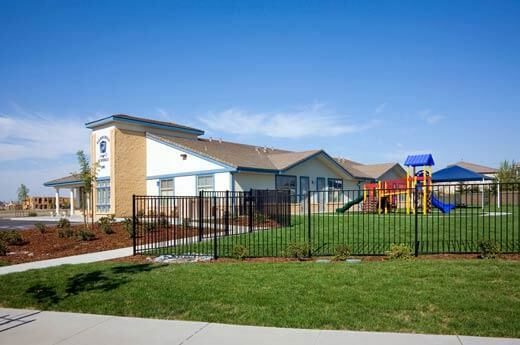 Merryhill School called on Alston Construction to manage the design-build process for a brand new facility in Sacramento, California. The facility would include eight classrooms, a kitchen, reception area and office space for the administrative staff. Alston Construction worked with Merryhill School to design the facility to best serve its students. The 10,800-square-foot, single-story structure is situated on 1.5-acres and features a wood-framed stucco and stone exterior with a concrete tile roof. Alston Construction completed site development, construction of segregated outside play areas and play equipment, and the parking lot.